In many ways, Oregon looks similar to how it did nearly a century ago — Crater Lake is still vast and captivating; our snow-capped mountains have long been favorite ski destinations; and for many years we’ve cultivated our culinary bounty. 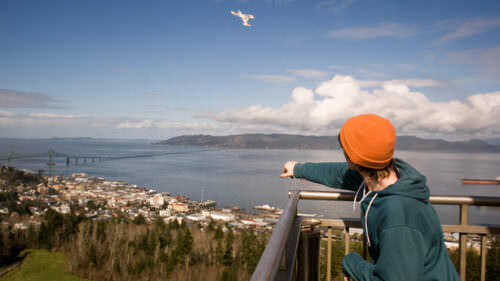 But over the years the opportunities to travel and experience Oregon have grown. Now it’s easier than ever to access our top attractions without a car. Our cities have blossomed into world-famous destinations for arts, culture and adventure. And you probably can’t taste all our beer in one lifetime. In honor of National Travel and Tourism Week, we look back at Oregon’s tourism past, present and future. Many things have changed, and some things will always stay the same. 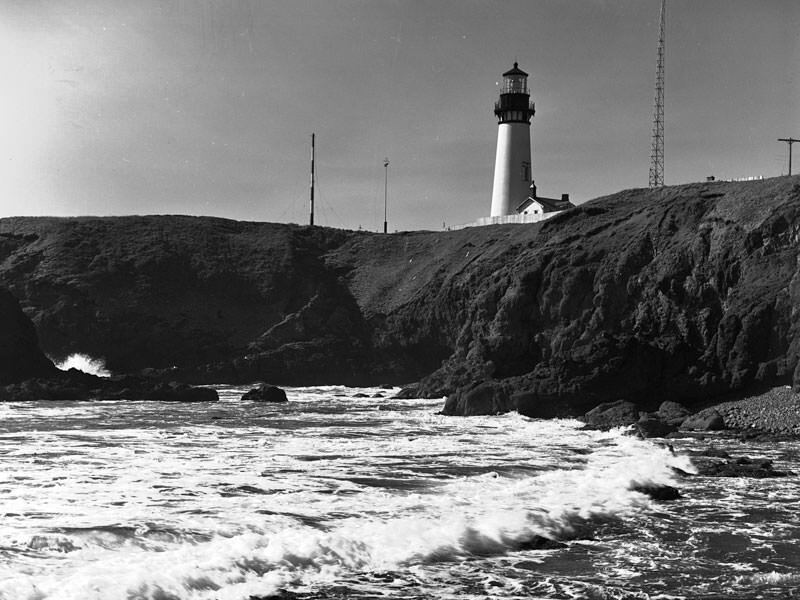 First lit in 1873, the Yaquina Head Lighthouse in Newport (formerly the Cape Foulweather Lighthouse) still uses its original 1868 fixed Fresnel lens, although it’s now illuminated with an electric bulb. At 93 feet tall, it’s the tallest lighthouse on the Oregon Coast, serving as a navigational aid to this day. In addition to the Oregon Coast’s tallest lighthouse, the Yaquina Head Outstanding Natural Area is home to an interpretive center, where you can see the wheelhouse of a historic ship. 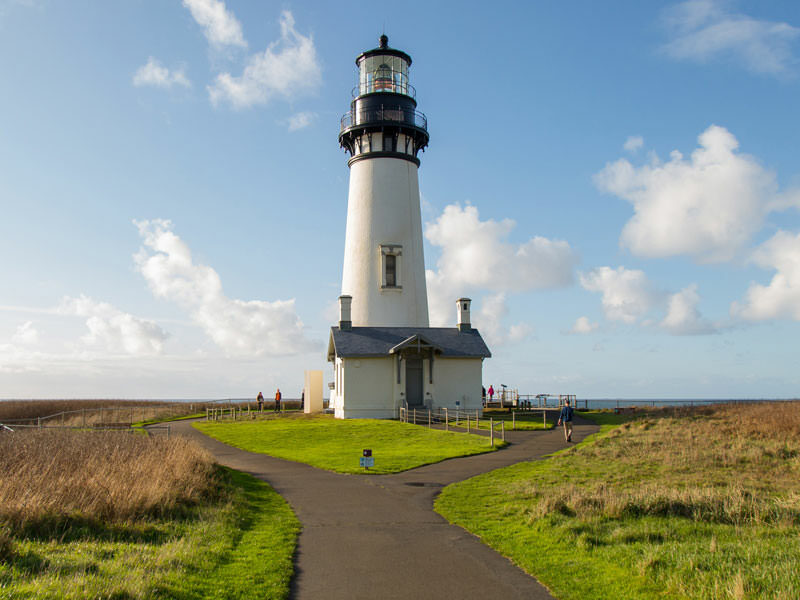 Any trip down the Pacific Coast Scenic Byway should include at least one visit to one of the Oregon Coast’s 11 historic lighthouses. Many remain open to the public and some can only be viewed from the shore; each has their own unique history to tell. 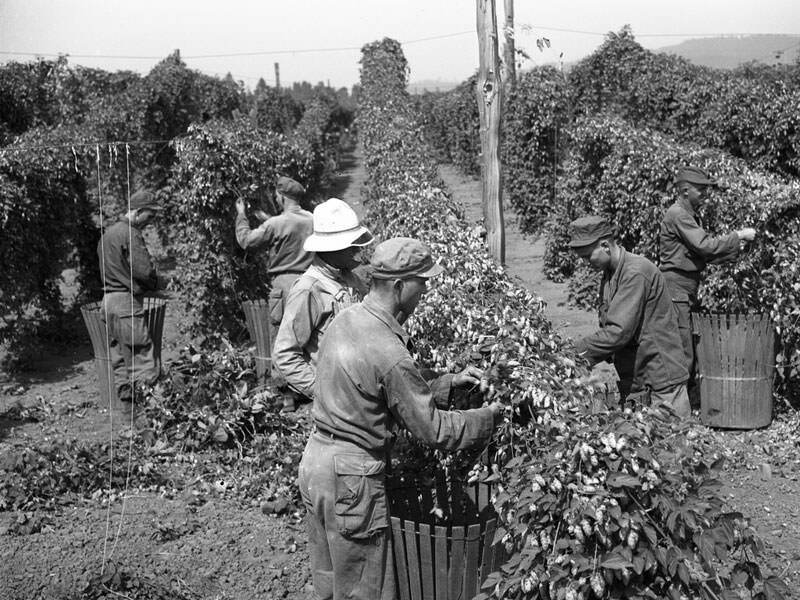 Commercial hop production began in Oregon in 19th century. 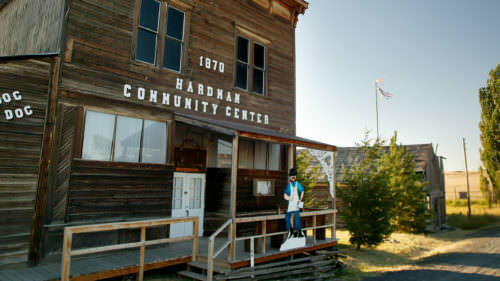 By the 1930s, the Oregon town of Independence became known as the “Hop Center of the World.” With the now-closed Camp Adair nearby, American soldiers would join laborers for harvest. 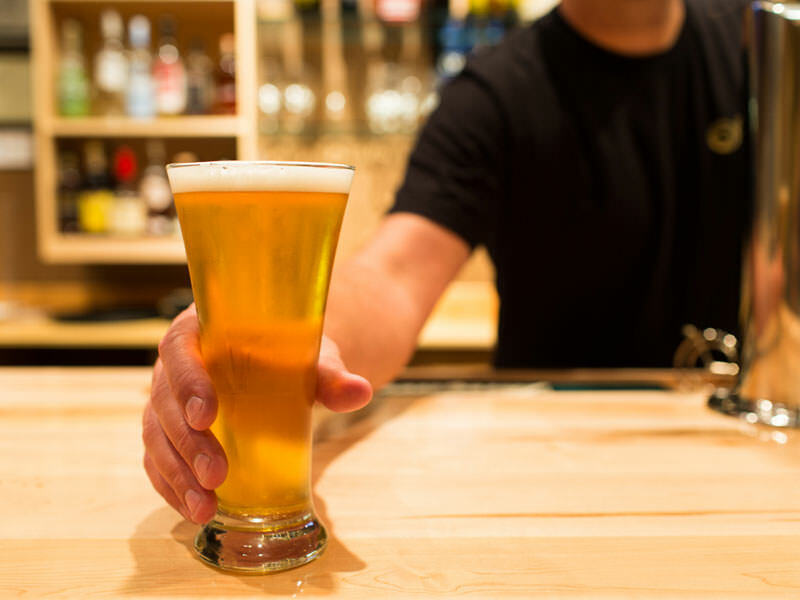 Learn more about Oregon’s 200+ years of beer history at the “Barley, Barrels, Bottles & Brews” exhibit at the Oregon Historical Society, opening October 26, 2018. Today Oregon is still a top hop producer, growing thousands of acres for breweries near and far. The state is now home to 261 brewing facilities, with Portland laying claim to the most breweries of any city in the world. So it’s no wonder Oregon’s sudsy scene is innovative too — where you can hit an ale trail, try experimental beers, soak in a beer spa, brew your own beers and a whole lot more. Oregon’s tallest peak, Mt. Hood, has long been a snow-sports destination. Timberline Lodge sits near the top, at an elevation of 5,960 feet. This National Historic Landmark, a gem of the Mt. Hood Scenic Byway, was first dedicated by President Franklin D. Roosevelt in 1937. 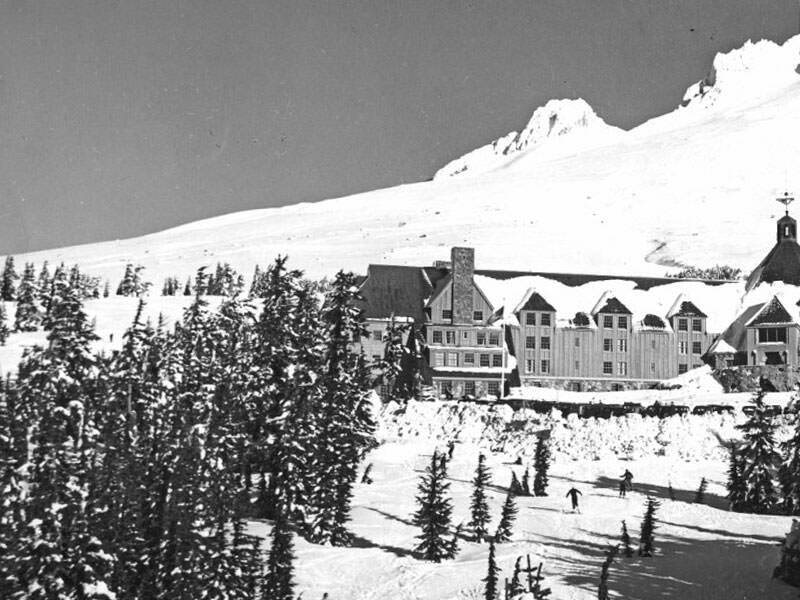 Since then Timberline has earned fame as an official U.S. Olympic training site and for a feature in the classic thriller “The Shining.” It has also attracted neighbors like Skibowl, Mt. Hood Meadows and Cooper Spur ski areas, beloved in their own right. Snowfall means uniquely Oregon adventures, almost all seasons of the year. 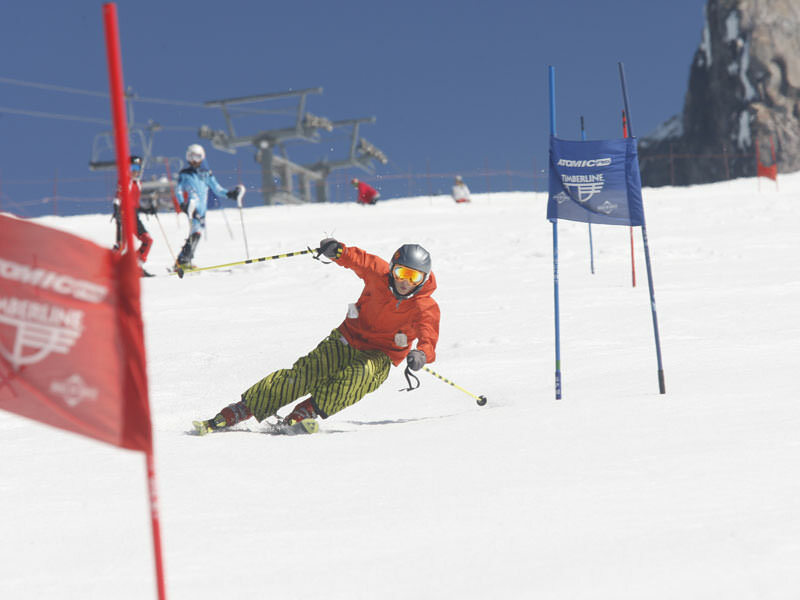 There’s summertime snow at Timberline, plus spring skiing at Mt. Bachelor and Mt. Hood Meadows. And the fun isn’t only on the slopes. In addition to 12 outstanding skiing and snowboarding areas, Oregon is home to plenty of opportunities for cross-country skiing, snowshoeing, sledding, tubing, dog-sledding and fat biking. Where there’s snow in Oregon, there’s probably an adventure waiting for you. Geologically speaking, the Oregon Caves are a few million years old, but they weren’t discovered in modern history until 1874. Eventually more than 15,000 feet of limestone passages were mapped out. 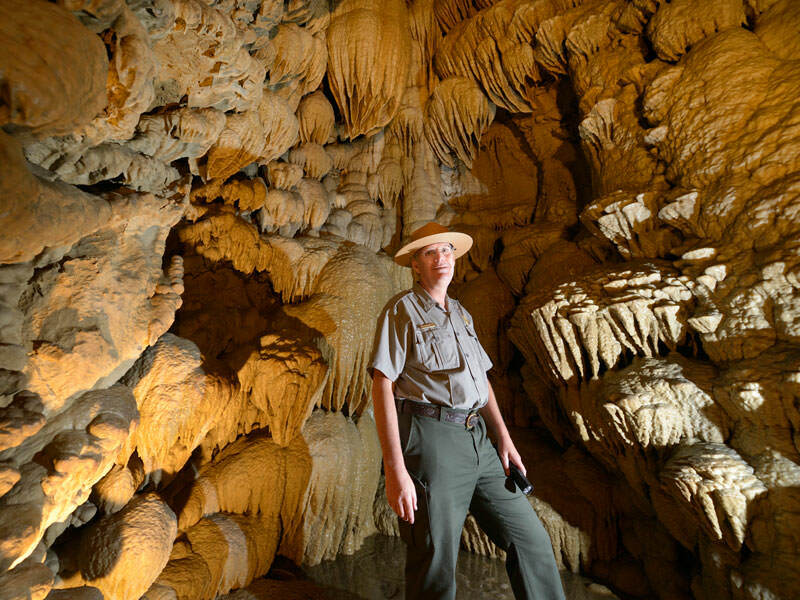 In 1909, President William Howard Taft established the Oregon Caves National Monument. 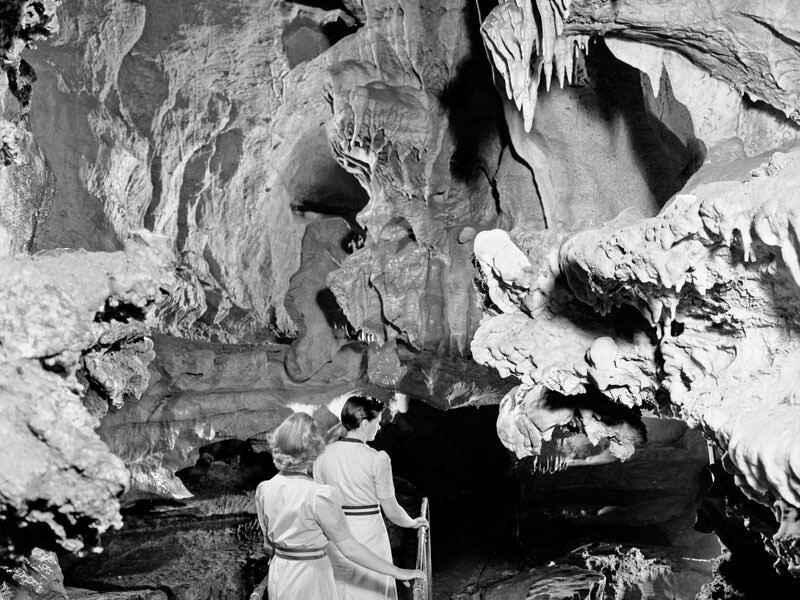 By 1935, tens of thousands of visitors explored the cave each year. You can still tour the Oregon Caves in Southern Oregon from mid-April to early November, depending on weather conditions. All tours are guided by rangers, from moderate climbs to candlelight expeditions and off-trail caving. Look for the only subterranean Wild and Scenic River in the U.S., the River Styx, and stay at the historic Chateau at the Oregon Caves. Stretching from Wyoming to Oregon, the Snake River is one of the longest rivers in the United States. In northeastern Oregon, the Snake River weaves through Hells Canyon, the deepest river gorge in North America, and the homeland of the Nez Perce tribe. 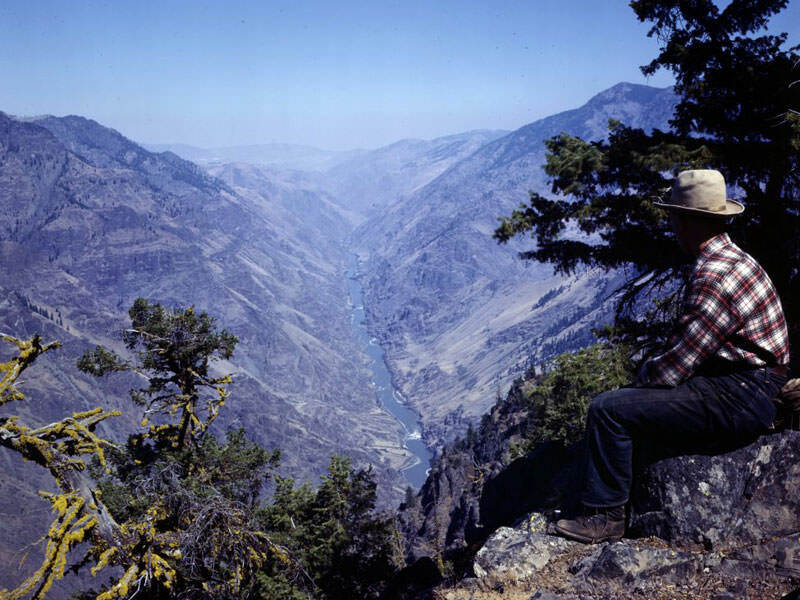 Roughly 215,000 acres of the Hells Canyon National Recreation Area are designated wilderness. 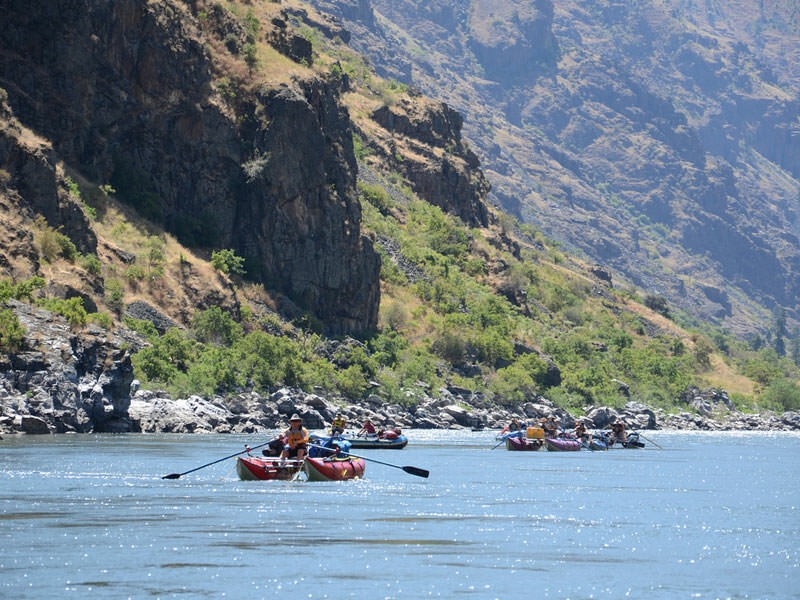 Nearly 70 miles of the Snake River in northeastern Oregon are designated National Wild and Scenic. See the grandeur up-close with rafting, kayaking and jet boat tours offered throughout the summer. 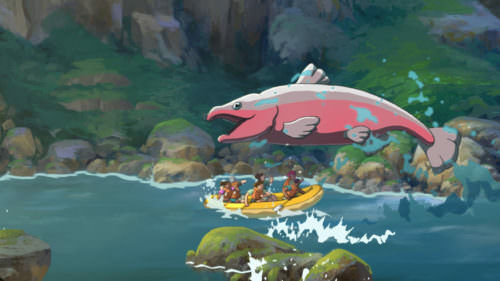 It’s just one of Oregon’s 58 Wild and Scenic rivers, many of which have rafting opportunities. Plunging more than 100 feet over a lava dam, Sahalie Falls has always been a sight to see — its name even means “heaven” in Chinook. Along with neighboring Koosah Falls, it’s part of the Waterfall Loop off the McKenzie River National Recreation Trail. Oregon kind of lucked out with waterfalls, many of which are taller than skyscrapers and last year-round, like Sahalie Falls. 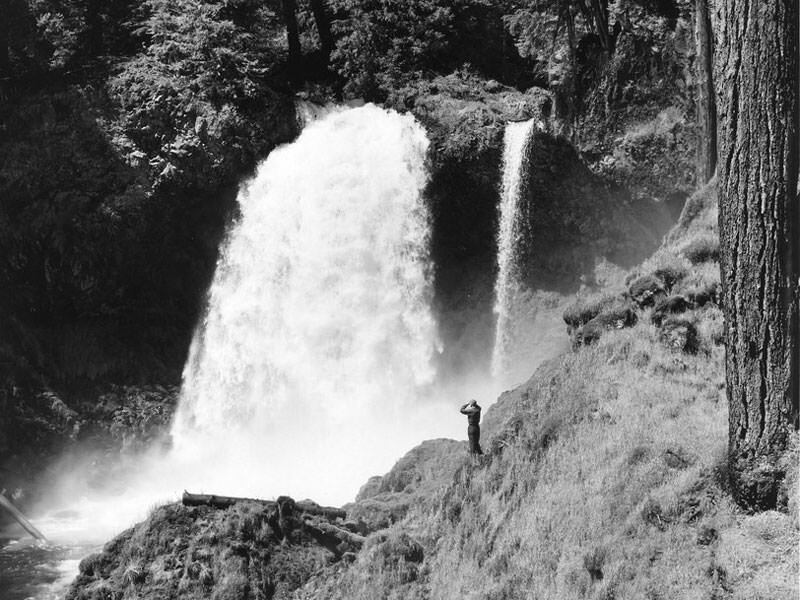 Oregon has more than its fair share of waterfalls: 238, depending on the season. 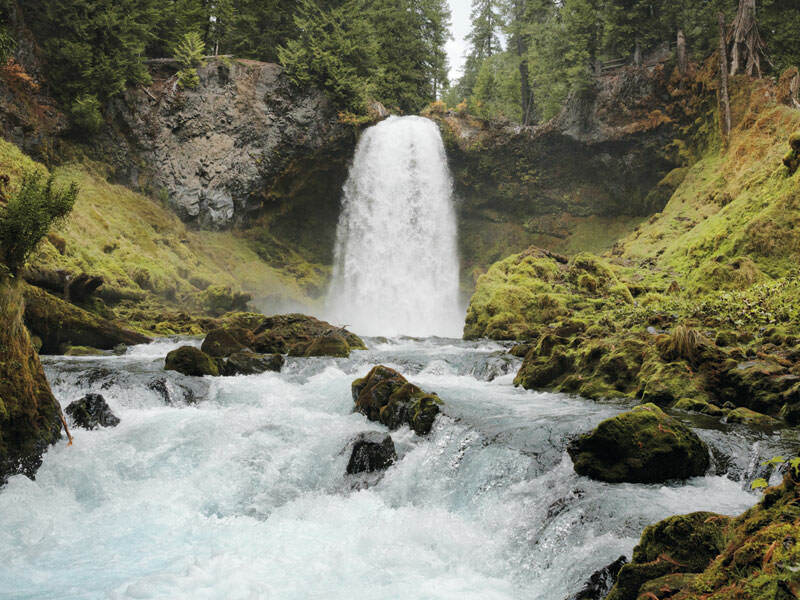 From the 10 different falls at Silver Falls State Park to the postcard-worthy Multnomah Falls to the 15 cascades along the Rogue-Umpqua Scenic Byway, our waterfalls just might make your jaw drop.